Work for Oracle Hyperion Planning? "Great interface for finance work"
I think Hyperion Planning is very well organized and I particularly like the fact that our company has been able to pair it with an excel add on. Pairing hyperion with excel has made our lives so much easier. Some of the functionality of the application could be a little bit better. For example, it would be great to incorporate more visualization tools. It is difficult to create a visual report through the app. I strongly recommend this product if you are a large company that produces financial reporting on a large scale. See if you can pair it with an excel add on and it will make your life so much easier. I am solving financial reporting as well as some operational reporting through Hyperion. I have realized how easy it is to teach others the system because it is fairly simple and user friendly. I also think it has a great benefit that it does not update constantly so your day to day operations stay the same. "The best program for financial planning!" I like this program because it is practical and mainly to help in the financial control of the company. I use it daily and I have nothing to complain about. Until the moment of use, I did not find any negative points. I recommend everyone to use it. For companies that would like a financial control, I recommend this program because it is very easy to use! It has the necessary documents so that a user can use it without problems. He assisted in the financial control of all sectors, both in the buying part (expenses) and in the sales of metals. "Oracle Hyperion Planning with Essabse or Cloud"
Web based tool for planning, budgeting and forecasting tool which has the features like single data store, allocations engine, analytically best in industry using Essabse and back-end DB. Powerful calculations can be performed. Can create an ASO cube in essbase which can be used for reporting for its fast response. Easily integrated with other tools. With the PBCS, EPBCS versions, there is no dependency with infrastrcture, but having all the same capabilities as on-Prem hyperion planning. Nothing specific for on-Prem, but the cloud version has some limitations compared to the on-Prem version which could be avoided for a better future. The major decision these days comes whether to go to Cloud or on-Prem. It varies depending on the organization. However, I would recommend this product to anyone. This has helped the users to plan and estimate the business in a better way. It replaced number of spreadsheet templates and there is a consistency with the data across all the users. Also, its powerful calculations capabilities and reporting features make this as top in industry. "Not very customisable, and difficult to use"
Hyperion Planning is useful, and the basic functionalities are easy to use. Forms are easy to build, and the same structure around dimensions is replicated across the webpage/Excel/Reporting studio, which makes it quite easy to build on once the basics are mastered. Smartview, the excel add-in, is really helpful to input larger amounts of data, or to pull through bigger reports. There is very limited customability. I worked extensively with Financial Reporting Studio, which was incredibly restrictive, which meant I couldn't meet a lot of my clients' needs. For example, I couldn't even change the colour of the borders in the reports! FRS could also be quite erratic. It frequently crashed, worked very slowly, or changes I made in FRS would not be reflected in the system. There were many instances where one minor change in one bit of the report messed up the entire report, and I'd have to redo it entirely. There was a lot of functionality that was just lacking, and Oracle's customer support was quite poor. On one occasion, I raised a service request asking for a new function, only to find out the development team had been 'working' on it since 2003. The interface is not always intuitive for users, so as part of the team implementing it, we often had to answer queries from confused parties (and were confused ourselves). For example, Hyperion Planning only works properly in IE (and sometimes there are issues with different versions of IE), and when the zoom is set to 100%. If it's not, then users might struggle to click on links. Support provided from Oracle is quite poor. The implementation was to help a big investment bank set up a retail branch in accordance with ringfencing regulations. From a reporting perspective we moved the bank's reports from Excel -- which required slow manual retrieves -- to Hyperion Planning, so changes in the data were almost immediately reflected in the reports. This simplified the entire reporting process considerably. "Hyperion Planning Review at University Of Chicago"
The Tasks Lists in Planning are a great way to streamline an otherwise complicate set of workflows for our users. They are not the most knowledgeable in using the software and this gives them a reminder of the steps to follow when doing Budgeting and Forecasting. Administration can be a bit difficult and Business Rules tend to run long even when optimize. For example, we have a rule that will write data from application to another using the XWRITE command. This command is known to be slow and for users to wait for the transfer can be up to 5-10 minutes which is a hindrance one us. That is just one example. A single source of truth for budgeting and forecasting. Data is all in one place is the major benefit. "Very Useful While Often Under-Utilized"
The most useful aspect of Hyperion is the ability to retrieve data from the system within offline excel files as long as you have the Smart View add-in enabled. The refresh is quick and the data is always clear to reconcile back to the total values input into the system. Our company uses the application to house our revenue and expense detail by client, by account, and by period. It is very easy for us to manipulate reports and excel files to retrieve data from Hyperion to suit our needs. The main problem that I have had while using Hyperion is the difficulty of input into the system. While retrieving data from Hyperion is quick and simple, the actual upload into various schedules and memo templates can pose difficulties. For example, each month my company needs to upload re-phased projected revenue for each month. If client A had $100 in revenue booked previously, but now we realized that this will now need to be $0 - the system will not allow it. For some reason, if there was data entered previously for Client A, 0 cannot be accepted to re-submit - a value needs to be input. So we spend more time than we should each month typing in ".000000001" as an input for each month/client/account. The system is very sustainable in itself. Once the detail is inputted into Hyperion, the retrieve functions of the system are readily available and usable. As my company has a very unique business/revenue model, we unfortunately are unable to take full advantage at this time of all the schedules that Hyperion has to offer. That being said, while my company is so unique we are very fortunate to have a system like Hyperion to be able to input and retrieve data so efficiently. Hyperion has various schedules and templates for all companies to take advantage of. The business problem that has been solved by using Hyperion is the efficiency of pulling data from the system in a quick and concise fashion. Especially during busy work periods, it is very beneficial to the timing of deliverables to have a system with the ability to pull detail at the client and account level on hand. This is a large benefit of the system and such retrieve abilities helps with all forms of accounting, finance, and budgeting tasks at my company. "Painful product to manage and use"
Not much. This product is a beast. 5 physical servers all dedicated hardware. And Performance is never what expected. Painful to install, painful to configure, painful price point, painful to migrate between prod and dev. If we did not have so much money invested in hardware and custom development it would have been scrapped years ago. Both Finance and It hate it. It inspired the password !H80rac!e! I have heard this was an amazing product before Oracle bough it. Would have loved to see it during the glory days. "Hyperion Planning - Critical for Financial Analyst"
I use Hyperion Planning on a daily basis. I find this to be a critical tool for not only project management, but for financial analysis of large data sets. The software is somewhat limited when trying to query multiple tables at once. I end up going back to SQL or Access at times for a quicker turnaround. Analysis of large data sets is made simpler with the tool. This allows us faster and more accurate reporting to provide to our intended audience. "Hyperion Planning - A Helpful Budgeting, Forecasting, and Reporting Tool"
Hyperion Planning is a great model for planning and reporting because it provides a simple solution for finance teams to track their company’s key financial metrics. The Hyperion Planning forms offer easy data entry for financial analysts to input and track their budgets, forecasts, actuals, commitments, and any other scenarios the company may use. All Planning data is stored in a multi-dimensional database called Essbase. Planning also leverages a relational database that is used to load metadata into Planning. This comes in handy for other uses such as loading actuals from an ERP system. One of the best advantages of Hyperion Planning is that it makes reporting very easy. I have seen many cases where analysts would use Excel spreadsheets to track all kinds of financial data, and it would take hours or days to create a report when it was requested by an executive. Smart View, the Excel-based add-in to Planning, removes this hassle. Smart View contains ad-hoc capabilities and allows users to quickly request data out of Planning. Users can generate all types of reports based on the data from Planning, such as sales, capital expenditures, or variance reports like Budget vs Actuals. If you take it a step further and use Hyperion Financial Reporting, you can create customized reports to deliver to users. I would like to see performance enhancements in the next few versions of Hyperion Planning. Sometimes scrolling and searching through dimensions is slow, as well as rendering data forms. Oracle has said there are some improvements with the 11.1.2.4 version, but I have not used it in a business environment yet. A multi-dimensional database also has certain limitations when pulling metadata. If your company is looking for an EPM tool with budgeting, forecasting, and simple reporting capabilities, I would recommend Hyperion Planning as your solution. Hyperion Planning/Essbase/Smart View are widely-useds across many business units in my organization. 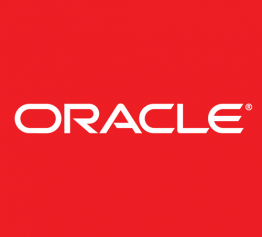 I would contact Oracle with questions about your specific business needs and schedule a Hyperion Planning demonstration to see if it is the appropriate planning and software. The main problem that we are solving, which I touched on in the above section, is the fact that budgeting, forecasting, and reporting take large amounts of time and resources without the implementation of a planning and reporting software. Users are able to easily manage their company accounts, products, locations, and other data through the Planning tool. Forecast and budget versions are easy to save and use in reporting. Planning makes data entry, data management, and data analysis much simpler. Hyperion Planning can save a company significant amounts of cost, time, and resources. "Hyperion experience in two different Fortune 500 FP&A organizations"
Overall, the product's data entry and extraction tools are excellent. Like most systems, management and maintenance dictates its effectiveness. The organizations I worked for had excellent support and management for their Hyperion tools and they were very useful. The UI/UX could be a lot more friendly, including the integration with excel. The web form wasn't optimized for all browsers and can run slow. The excel integration (Smartview) runs much faster speedwise, but the user interface is not as friendly. If you're an excel jockey, it takes some personal macros to reduce your keystrokes. I believe you need a large organization to use this tool effectively. It takes a good team to manage implementation, maintenance, and upgrades outside of your user base. I used the tool primarily for forecasting, budgeting, and reporting. It's incredibly beneficial for folks to collaborate across large organizations in building financial forecasts and budgets. Scenarios are easily managed, updates flow seamlessly, and data is easily able to be extracted. The user interface is outstanding and has the awesome calculation capabilities of Hyperion Essbase behind it. I really dislike how you can't click on multiple members in a hierarchy (siblings) at once and delete or move them -- it's one at a time. Don't even fool around with other EPM applications, they're all inferior. Hyperion is a great software to have to for international and domestic corporate companies that need to have accounts consolidated for financial reporting purposes. The software is highly used when there are intercompany accounts that need to be reported on the 10K and 10Q. The software reports still need to be formatted and the parameters updated for intercompany reporting otherwise there is still some manual labor for manipulation. The software is most utilized for international accounts being consolidated with domestic accounts to include consolidation for reporting purposes. "User-friendly and functional financial planning system"
Currently using this to effectively provide financial reporting/analysis to our business department from an expense management perspective. Quick way to make changes to our budgets, view current standing against prior/current/future budgets, and search for detailed line-item information. You can customize it based on your business needs. I co-led that effort at one of my previous employers, and it was a huge success. What you input is what you get. Once move away from the Off-The-Shelf option, it requires significant investment. However, the human ROI (time savings to generate state-of-art-reports with a click of a button, etc.) is very positive. Analyze the Pros and Cons when comparing to other products. Hyperion will come out ahead of the game as long as the right commitment is made. Be sure to design it at the worker-Bee level with a top management roll-up in mind. Your work bees will use it the most, so be sure to invest at the lowest possible level of detail that can roll-up to the highest level in management. My internal clients wanted standardized budget reports, and fast. With the Hyperion Planning solution we were able to achieve that and more. I have used this at my current job and my previous job. It's very easy to learn and very easy to use. It's freezes up sometimes, and often I have to log out and log back in.. It helps us with our business and helps with our accounting and forecasting. "Web tool not great, Excel tool finicky but helpful"
"Hyperion to solve reporting in a mixed ERP environment "
Hyperion makes it possible to report consolidated financials in an mixed ERP environment, EBS and SAP. Have to run another database, Essbase. This required additional training for the administrators adds to the complexity of the environments. Reporting financials for a company that has both EBS and SAP. Removing the need to convert on entity's ERP system over to the others. "Great tool for consolidation and reporting"
It currently is a mature tool for consolidating multiple businesses and generating essential reports for meeting financial requirements. Expensive and difficult to maintain and upgrade. It's a great financial planning tool, but the Cloud offering is the best choice going forward. It's been essential to our business for consolidation and financial reporting in a global, mixed ERP environment. "Great Experience with this Product"
I like the ease of use and how intuitive this tool is. It has been much better than other planning software I have previously used. I do not have any complaints about this product so far. We are using Hyperion as a budgeting, forecasting and consolidation tool. I like the existence of a Dev environment to test data before loading it to Prod. Data needs to be cleared before new data is reloaded over the same dimensions. That's an extra step. Pulling external reporting data from HFM and converting it to a management reporting format in Planning. "Implemented Hyperion Planning at several leading research universities." Hyperion Planning provides the platform for businesses to significantly improve the efficiency and effectiveness of their budgeting and planning functions. Too often, large and complex businesses run budgets through a myriad of excel sheets whereas Hyperion Planning provides a tool to re-focus staff time on analysis and decision-making instead of consolidating last years budget and actual data into a spreadsheet. Oracle has invested in Hyperion since it was acquired and this technology has a very solid footprint in number of clients and number of industries used. Hyperion Planning requires detailed design and configurations at each customer which can cause an implementation timeline to be longer than desired. However, this does result in a customized solution to meet each business' specific needs. Hyperion can also have challenges with large datasets. This challenges can be met with creative/custom solutions and performance tuning of software settings and hardware. I recommend that each business have a good understanding of what is desired through a budget system implementation? What are desired outcomes? How do you want to reallocate time from manually building spreadsheets to analyzing budget and financial data? Do the resources in place today need training as the job responsibilities change? Learning about Oracle Hyperion Planning? * We monitor all Oracle Hyperion Planning reviews to prevent fraudulent reviews and keep review quality high. We do not post reviews by company employees or direct competitors. Validated reviews require the user to submit a screenshot of the product containing their user ID, in order to verify a user is an actual user of the product. Hi there! Are you looking to implement a solution like Hyperion Planning?